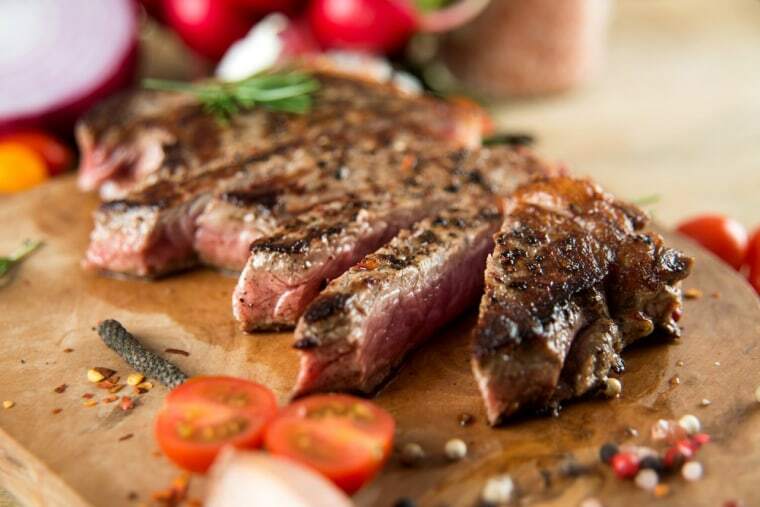 Is red meat good for your health? It depends on three factors: the cut of meat, your serving size and how often you eat it. If you’re wondering whether red meat is good or bad for your health, you’re not alone. There’s a lot of conflicting information out there: Some studies associate red meat consumption with health problems like cancer and heart disease, while others show positive health effects. So, what’s the truth? The answer is somewhere in between, and it depends on three factors: the cut of meat, your serving size and how often you eat it. Nutritionally, red meat is an excellent source of high quality protein, zinc, iron, and vitamin B12. Choosing a lean cut in a modest portion is the key to these optimal health benefits. But those positives can be canceled out if you frequently consume high fat cuts in huge portions. Strong evidence shows that fatty red meat is a prime source of artery-clogging saturated fat, a factor that’s associated with heart disease. And while the cancer association isn’t as clear, it might be related to the high saturated fat content, or potential cancer-causing compounds formed when meat is overcooked (think burnt edges). Choose lean cuts of red meat. With more than 20 cuts of lean or extra lean beef, the leanest cuts are the lowest in saturated fat. Look for cuts with “loin” or “round” in the name. Flank steak is also a popular and economical choice. And red meat doesn’t only mean beef. For example, lamb and veal are also red meat and the cuts are the same as for beef. Limit your intake of prime, marbled and processed meat, like cold cuts, sausage and bacon. Downsize your portions. Aim for around 4 ounces, about the size of your open palm of your hand. Red meat should fill about one-fourth of your plate, while colorful vegetables should take up half and a whole grain starch taking up the remaining quarter. Limit red meat consumption to once or twice a week. Choose a wide variety of protein sources from both animals (like poultry and fish) and plants for the rest of the week. If you’re new to plant proteins, start with a vegetable or soy-based burger or “chicken” nuggets. Avoid charring your meat when grilling. Cook your meat over medium heat, and avoid overcooking. Cut off any charred parts of meat or fat. For more advice like this, sign up for the Know Your Value newsletterand follow Know Your Value on Facebook, Twitter and Instagram.